ADAM M. GREELY is an attorney with the law firm of Vogt, Resnick & Sherak. Mr. Greely is a business litigator with over 20 years of experience representing businesses both large and small, and individuals in business and commercial litigation. In addition, Mr. Greely has extensive experience representing Financial Institutions and enforcing their rights and the rights of other creditors in Federal, Bankruptcy and State Court actions. MR. GREELY IS A MEMBER of the California State Bar and all districts of the Federal Courts in California. Mr. Greely is a member of the Orange County Bar Association and the Commercial Law and Bankruptcy Sections of the Bar. He has served on various committees and lectured on creditor’s rights, bankruptcy law, and collection of judgments. 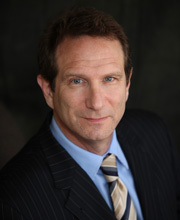 Mr. Greely has served on the Board of Directors of the Orange County Bankruptcy Forum since 2010. MR. GREELY RECEIVED HIS JURIS DOCTORATE DEGREE from Loyola Law School in Los Angeles, where he was a member of the St. Thomas More Law Honor Society. He has a bachelors of arts in Government and Public Policy Analysis from Pomona College. AREAS OF PRACTICE: Commercial and Business Litigation, Commercial Landlord-Tenant Representation, Real Estate Litigation including Title Insurance And Escrow, Creditors’ Rights and Collections, Equipment Leasing, Banking, and Employment Issues And Employment Litigation.